Meditate with Oprah and Deepak Chopra! Oprah starts each meditation with some words of wisdom, and then Deepak Chopra leads us into the meditation. I wish I could meditate with these two amazing people every day! I cannot emphasize enough how much this experience is truly healing. Whether you want to calm your mind, learn how to meditate, unwind, relax, restore your faith in yourself, the world, your body’s natural healing process, this is the way to do it. Join me on this incredible journey and share your experience with me in the comments below. 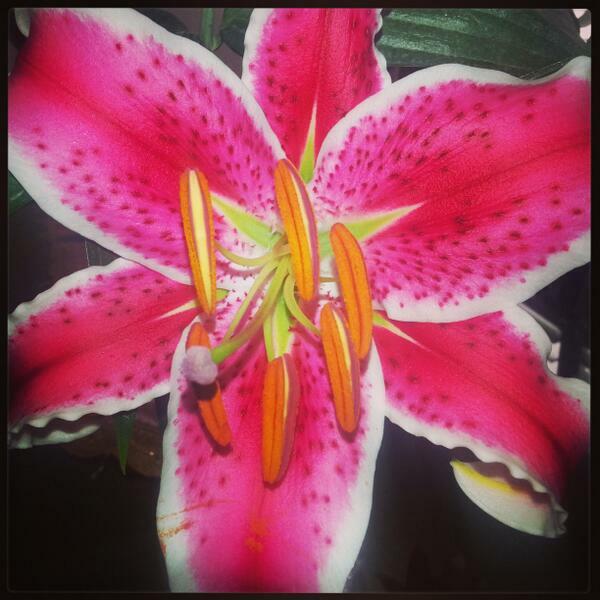 The gorgeous lily pictured above is from the Motor Avenue Farmers’ Market that I go to on Sundays. I have a table there that is packed with helpful handouts, recipes, and special offers for my Health Coaching services. I picked up the lilies on Sunday and they are so beautiful! Stop by and talk to me, get some flowers, enjoy a relaxing, healthy, peaceful Sunday, and share your meditation stories with me!